The backers of a planned broadband cable system to connect South Africa with the US are pushing ahead with the project after a hiatus which saw the venture restructured as well as new technologies and routes chosen. The South Atlantic Express (SAEx) cable, which will offer a minimum design capacity of 72Tbit/s (about 72 000Gbit/s), will connect Mtunzini on KwaZulu-Natal’s north coast to Yzerfontein north of Cape Town, with branching units in East London and Port Elizabeth). It will then cross the South Atlantic to Fortaleza in Brazil. A further (and direct) link to the US is then planned. It is set to be the first submarine cable system to connect South Africa’s east and west coasts. The majority South African-owned cable system will be implemented in phases and the plan is ultimately to provide an East-West subsea system connecting Asia and the Americas. The SAEx cable has been in the works since at least 2012. However, the business underwent a major restructuring in 2014. MD Rosalind Thomas said new shareholders were introduced who “understand the nature of the submarine cable industry and who support the business plan and strategic imperative”. “This meant registering a new company here in South Africa and in Mauritius and obtaining approvals to transfer the intellectual property and obtaining new permits for the new companies,” Thomas said. She said SAEx is “going strong” under its new structure and is “making huge strides in its planning, partnerships and customer discussions”. Phase 1 of the project, which will extend from Mtunzini to Virginia Beach in the US, will offer a branch to Saint Helena island and cost an estimated US$480m (R5.9bn). Phase 2, which could cost up to a further $300m (R3.7bn), will extend the system to the Far East, to the Malaysian peninsula. SAEx expects phase 1 to be ready for service in the second half of 2020. She said the company expects to sign a contract with the selected vendor in the next two months and, once financial close has been achieved, the chosen vendor will begin implementation of the project, including a marine survey. “The route has been carefully selected so that the distance between the US and Cape Town will be about 13 300km, making it the lowest-latency path from South Africa to the US,” SAEx said. To accelerate the implementation of the system, SAEx’s sponsors have signed memoranda of understanding with two global telecommunications carrier, which it hasn’t named, citing confidentiality clauses. It will embark on a two-stage approach for the first phase. Phase 1A will see SAEx connect to a carrier partner’s system at Fortaleza in Brazil and onward to the US. “The partner has offered support for landing in Brazil, and marketing and sales in the region, and has expressed interest in acquiring equity in SAEx,” the company said. The fibre pair on the partner system will also create a ring for the phase 1 network, providing network resilience and diversity on the segment at greatest risk of interruption, namely the fibre pairs closest to the US east coast, it said. “Access planning is well under way with a major data centre enterprise for colocation and access into one of their data centres close to Washington, DC; and at Virginia Beach the initial landing will be with a company that owns a substantial cable landing and data centre facility located there,” it added. SAEx sponsors have also received a letter of intent from a second global carrier based in the East on a strategic relationship relating to the provision of network operation centre services, operational management functions, and regional marketing and sales. This company is also interested in buying equity in the cable system, SAEx said. In phase 2, under the moniker South Asia Express or SAEx-2, the SAEx system will extend its build via a four fibre-pair system — offering a minimum design capacity of 48Tbit/s) to the East, a route of about 9 000km extending from Mtunzini to the Malaysian peninsula. The company is set to face stiff competition on the South Atlantic route with two other cables set to connect Southern Africa and Brazil, with onward connectivity on other systems to the US. 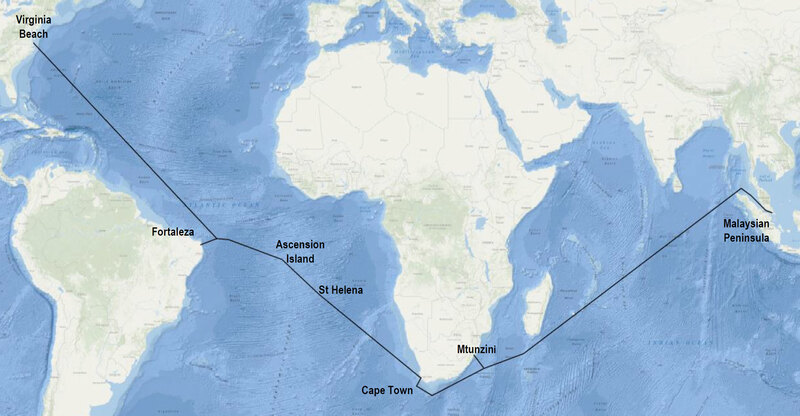 Seaborn Networks last year set out plans to build the SABR cable from Cape Town to Brazil, while Angola Cables is leading a project to build a system from Luanda to Brazil called the South Atlantic Cable System, or Sacs. SAEx said a new South Atlantic route is considered financially viable. 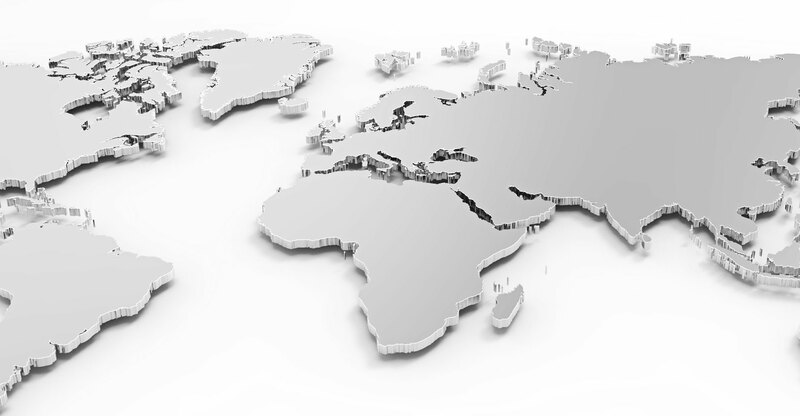 SAEx has a “far superior design and is better suited for the long term with more flexibility and, critically, direct access to the US, with connectivity also to South America and the Atlantic islands and, significantly, with customers already signed up and the provision of strong marketing and sales support from our strategic partners, covering both hemispheres to be served by the SAEx routing,” it said. Thomas said that although Seaborn Networks has announced its intention to build a subsea system, it’s planning is “still far behind that of SAEx”. “SAEx has certain intrinsic advantages over the (Sacs) and Seaborn systems, including that it is the only system to provide a direct route between South Africa and the US, and east and west coasts of Africa, and the submerged route on SAEx starts in KwaZulu-Natal and ends in Fortaleza in Phase 1A; and Phase 1B takes the main trunk directly to Virginia Beach,” she said. Thomas said SAEx’s direct route to the US will provide a latency (network roundtrip speed) benefit and avoid the intermediate stops of rival systems. This means SAEx “benefits from operational and reliability efficiencies”. SAEx currently has five shareholders — four South African and one international. Details of the shareholding will be revealed “at the appropriate time”, Thomas said.